Check out the trending hashtags on Twitter today like #election, #electionday and #govote. Or take a cue from NYC Mayor Michael Bloomberg who created a new Twitter hashtag, #nycvotes, for Twitter users who encounter problems voting in NYC… you could encourage your viewers to tag their election-related Tweets with something specific to your city like #jaxelection if you were in Jacksonville, Fl. Then, you can start tracking what’s happening in your area. 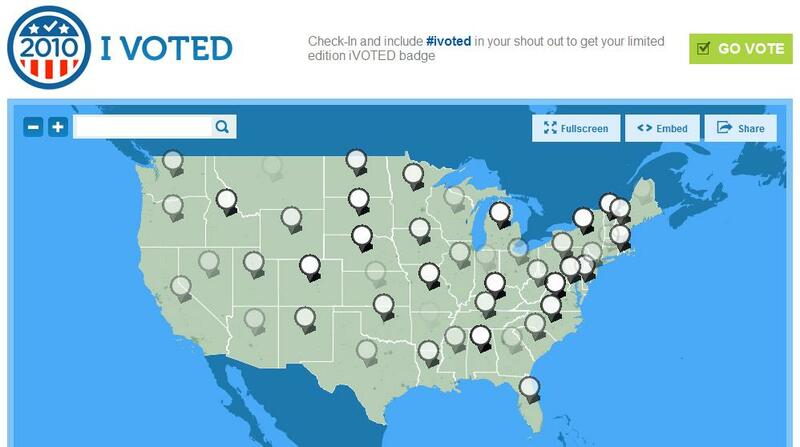 Foursquare players who check in at polling places and tag their shouts with #ivoted will receive the “I Voted” badge. The check-ins will also appear in nearly-real time on this interactive Foursquare Map which you can customize to show Check-ins in your area. 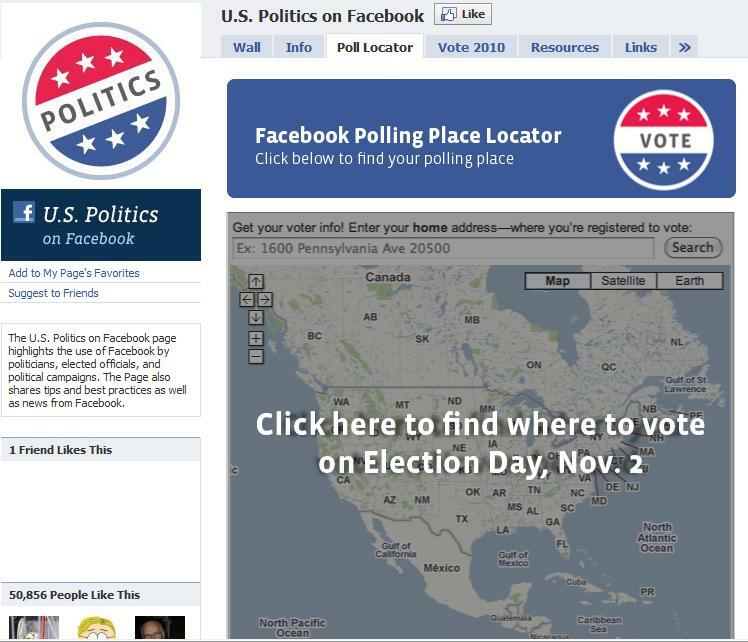 This is an application to help people locate their polling place. Facebook is also keeping a running tally of Facebook users who have Voted. 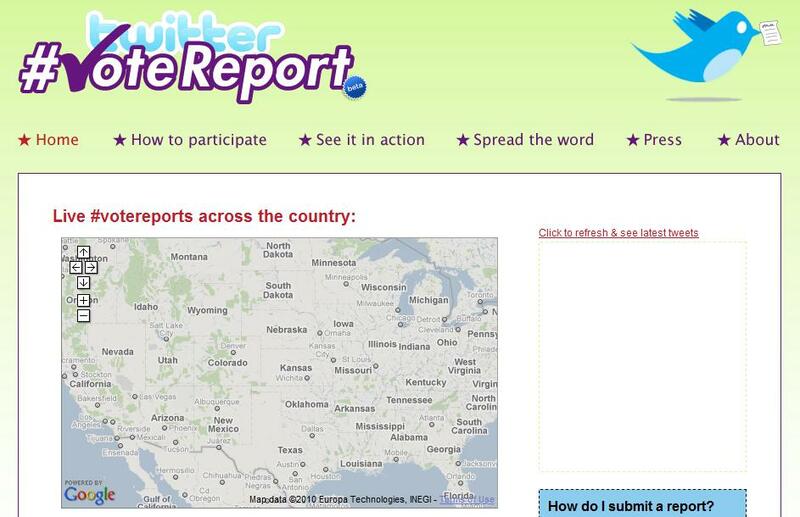 When Twitterers add the hashtag #votereport to a Tweet about their experience at a polling place; those reports will be aggregated at TwitterVoteReport.com. You’ll get a geographic look at issues like wait-time or other voter concerns. And you can zoom into your area to get specific reports. If you’re thinking you’d like to do more with social media during the next election cycle, here’s a list filled with great ideas that you can implement at your station. The biggest spike in useage of Facebook is weekdays at 11:00 a.m., 3:00 p.m. and 8:00 p.m. ET. The biggest overall spike is 3:00 p.m. ET on weekdays. Wednesday at 3:00 pm ET is consistently the busiest period. Posts published in the morning tend to perform better than those published in the afternoon. The top of the hour (:0 to :15 minutes) sees more interaction than other parts of the hour. The second half of the hour (:30 to :45 minutes) is the second most popular time for interaction. This seems to roughly jive with a study done by Social Media Blogger, Dan Zarrella earlier in October. Zarrella concludes that Facebook sharing seems to peak on articles that are posted in the morning, 9AM EST specifically. But this refers more to users who are surfing the web and sharing to Facebook…rather than those who are starting on Facebook. There are few “sure things” in social media. But if you choose to subscribe to any rule it should be this one: “Always include a link, photo or video in your Facebook posts!” I’ve written before on why it is my opinion that omitting a link in your Facebook post is the #1 Mistake Journalists make on Facebook, and now a new study has a bit of data to back up my claim. 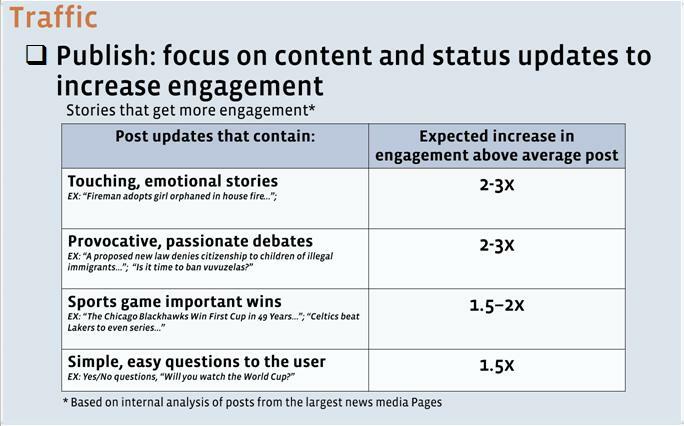 At TheDailyBeast.com, Thomas Webber published the results of an experiment he conducted to find out what it takes to show up in your fans’ News Feeds. This, as you know, is the name of the game. The vast majority of your fans will interact with your content ONLY when it shows up in their News Feed. Very rarely will they visit your actual wall. Essentially, Webber set up a fake account, “Phil”. When Phil included a link in his post…it was more likely to show up in his friends’ News Feeds than a post with no link. As Broadcasters, we all know that PICTURES are what sell the story. It’s no different on Facebook. When “Phil” posted with text-only, he got far less exposure in his friends’ News Feeds than when he included a photo. The station deleted the tweet, and promptly dismissed the rogue tweeter who explained that the post was intended for a personal page, NOT the station’s page. Whoops. 1) Most newsrooms give admin/password access to a significant number of their staffers. 2) Once admin/password access is given – it’s tough to revoke without changing a bunch of settings. 3) There’s no way to conclusively tell WHO made which post to twitter or a Facebook fan page since they all come up as having been sent by that “page”….rather than an individual. 4) In order to access Facebook or twitter, most staffers must first access their own personal account which is tied into the station’s account. A new social media manager called the Social News Desk alleviates all 4 of these problems (full-disclosure…I am the founder of Social News Desk). It allows staffers to access the station’s social media accounts without ever merging their personal accounts to them. And it tracks who posts what. The SND is currently in beta-testing at WJXT. 1) Limit access. Only allow a small group to make posts (instead of everyone in the newsroom). 2) Update your passwords often to make sure you only allow access to people you trust. 3) Keep an eye on it. Be vigilant about social media rather than treating it as an after-thought. First, there’s no link to the story. As I’ve written time and time again, you should never make a post without a link. It’s the number one marketing mistake on Facebook! This post received 141 interactions…and not a single one resulted in a page view to the station’s site because there was no link to click on. I think Wanda pretty much sums up my point exactly. This post from WFTS features a photo of their Traffic Reporter, a link to her personal Facebook page and a link to her Twitter feed. It does a nice job of not only promoting Meredyth as the talent, but also providing valuable information about the traffic situation at that moment. And it creates an incentive for interested fans to connect directly with Meredyth if they want to get updates on this situation. Images are Powerful – they attract attention to your post when viewed in your fan’s NewsFeed. Many more fans would have read and reacted to this post if it had a picture of the Jonas Brothers, since that’s what the post is about. Pictures and Words Should Match – OK, that’s a broadcast rule. But it applies in social media too. If you’re going to include a photo, it should be referenced in the text of the post. Promote with Purpose – If you’re going to promote your talent with a post, think through the REASON you’re doing it. Are you hoping more people will become a fan of her personal page? Then include a link to her page. Are you hoping more people read the story because it came from her? Then write something about HER personal involvement. But remember, simply posting a photo isn’t going to accomplish anything…especially when you don’t even include her name. Pay Per Fan: Should Newsrooms Pay for Facebook Fans? While newsrooms across the country work out their social media strategies through a kind of trial-and-error hodgepodge, many big businesses are doing it the old-fashioned way: they’re paying for it. These brands see real value in the number of Facebook fans they have and they’re willing to pay the price. Big brands measure the value of a fan based on the potential for a sale. And they see nothing wrong with paying for a lead. They’ve been paying for email subscribers for years. In fact, the blog post Pay Per Fan: What Big Brands are Paying for Facebook Fans suggests today that one Facebook fan is worth two email subscribers. And they’re not the first to suggest a monetary value for fans. Social Media Management company, Vitrue suggests each Facebook fan is worth an average of $3.60. It’s based on the number of media impressions a single fan can generate. Today’s SEJ blog post suggests a more down-to-earth value. Somewhere in the neighborhood of $1.25-$2.00 per fan. This number is based on what brands are paying to acquire them. According to this article, companies are paying as much as $20,000 to get 10,000 fans in a month. Some online marketing experts think it’s outrageous. But those big brands are still paying. What is a Facebook Fan Worth to a Newsroom? Community Engagement: Social Media allows viewers to join the newsgathering process, to contribute information to journalists and become more loyal to the broadcast. News Distribution: A Pew Internet study reveals that three-fourths of the people (75%) who find news online get it either forwarded through e-mail or posts on social networking sites. This means the more news you distribute through social media, the more clicks you’ll get on your website. Sponsorship Opportunities: The long-standing revenue strategy for journalists has been to sell ads. Building a strong social network provides a brand new platform for ad placement. Social Media ROI for Newsrooms? Build Fans: This is where it all begins. A Facebook fan page without fans is like a newscast without viewers. Distribute Links: Posts must be strategic. Just as producers pour over each line in a script, they must critically think about the words they use in social media and the links they include. 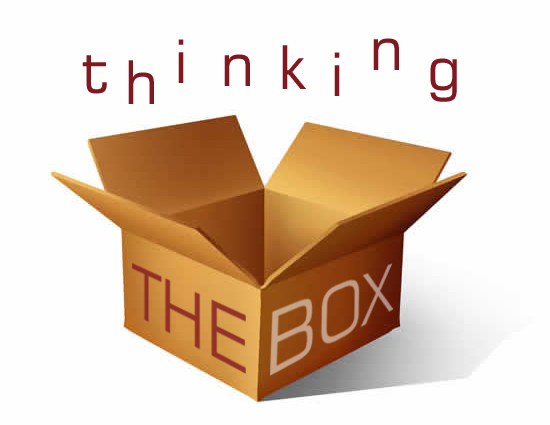 Think Outside the Box: Businesses are killing themselves to get “in” with the social media crowd. Use that to your advantage and find ways to work-in those eager sponsors. 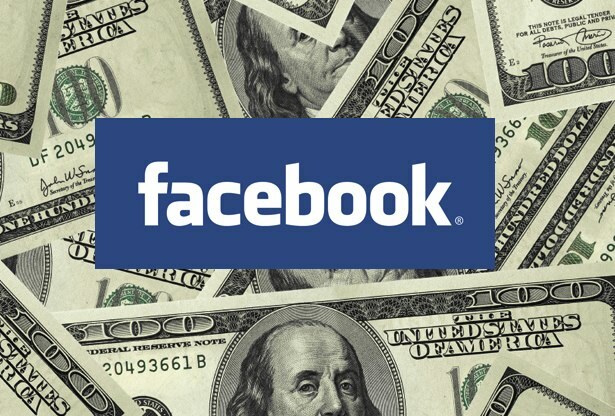 Should Newsrooms Pay for Facebook Fans? What do you think? My opinion is anything worth having is worth paying for. But that doesn’t mean newsrooms have to cut a $20,000 check to some online marketing company. They can begin to achieve many of the same goals by leveraging the resources they have at their disposal… and by keeping their eyes open to new opportunities and new ways to increase their ROI.